RANDGOLD Resources slightly under-shot its full year production guidance of between 1.3 to 1.35 million ounces for 2018 with gold output coming in at 1.29 million oz – a function of one week of industrial action at Loulo-Gounkoto during the period, it said. The numbers were issued with Barrick Gold’s 2018 fourth quarter and full year production update in which full year production was 4.52 million oz. It fourth quarter production came in at 1.26 million oz. A merger between the two companies became effective on January 1, therefore, the firms separated their updates. However, Barrick Gold’s new CEO, Mark Bristow, who was previously CEO of Randgold Resources, will provide discussion and analysis after Barrick’s February 13 fourth quarter presentation, the company said. Commenting on its fourth quarter and full year production numbers, Randgold Resources said its preliminary full year group gold sales totalled 1.30 million oz. The preliminary fourth quarter group gold production was 375,000 oz, and preliminary fourth quarter group gold sales totalled 376,000 oz. Randgold presented the production and sales figures for Loulo-Gounkoto, as well as Tongon which reported full year output of 230,000 oz, on a 100% basis, although it owns 80% and 89.7% of the two assets respectively. The results presentation of the merged company will be a highly anticipated event owing to the sheer number of questions over the future of assets held by it; for instance, whether a resolution is being reached at Acacia Mining, the 64%-owned Tanzanian gold miner. 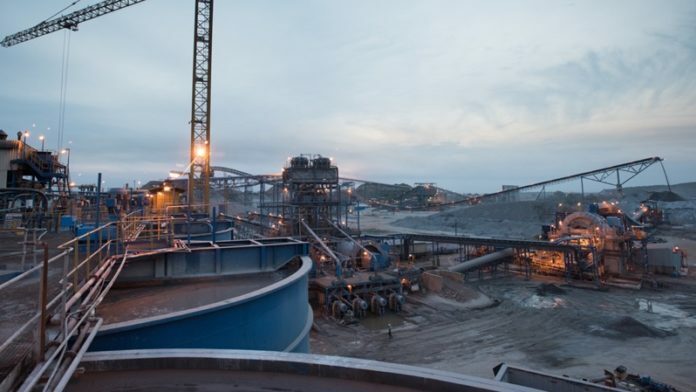 Questions will also be asked about Barrick’s approach to Lumwana, its copper producer in Zambia where new duties and taxes have raised the possibility the asset could be sold. Analysts, investors and media will also be watching for an indication as to the assets the merged company may want to sell in terms of its commitment to high quality production. The merger of Randgold and Barrick may trigger a fresh round of consolidation in the gold sector which has lost investors over the last five to 10 years.